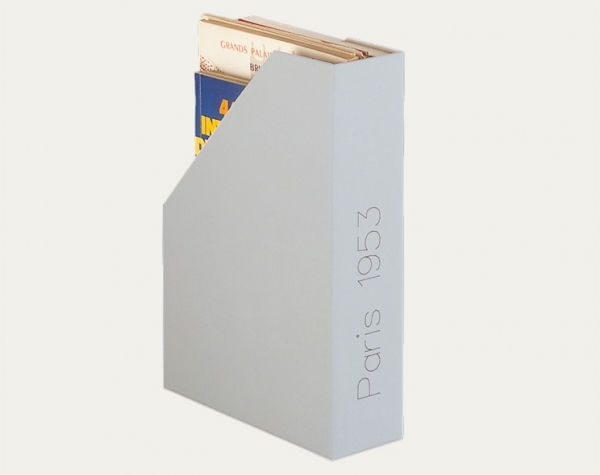 Shelf file designed for storing books, newspapers, brochures, magazines and collections of loose and unbound documents. Also available with an additional (standing) support mechanism to ensure that the filed objects are kept upright, thus preventing them from bending over if the folder is not full to capacity. For books it can also be used as a book shoe.